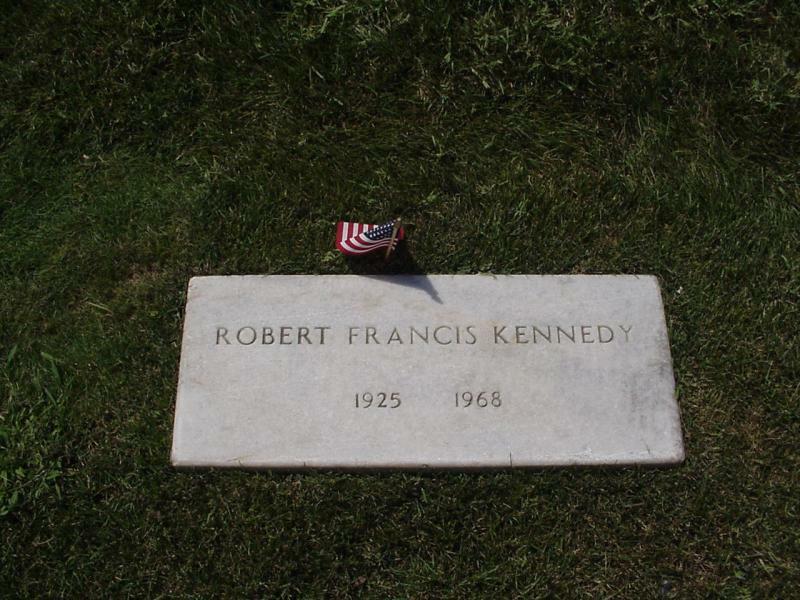 45 years ago today, Presidential Hopeful Robert Kennedy’s life was tragically cut short in a way that eerily paralleled his older brother’s just five years before. 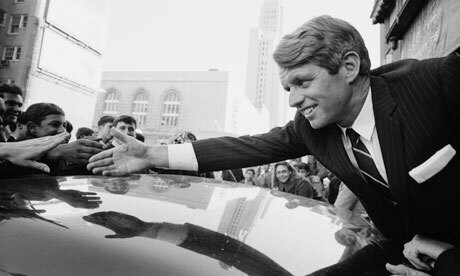 I’m sure more than a few news outlets will give RFK a blip in their reels tonight, but instead of focusing on that June night, it’s probably best to celebrate this fantastic man’s life. 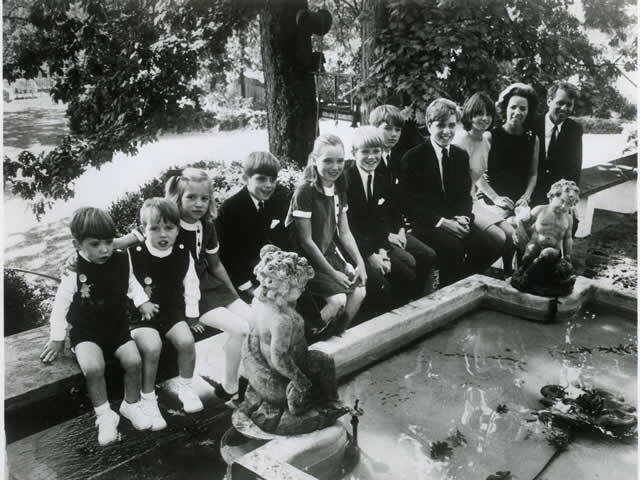 Bobby was born on November 20, 1925, the seventh of nine Kennedy children. Though he was the third boy, his father heavily favored his older brothers Joe Jr. and John. Bobby was small and his mother’s favorite (his father called him “runty”). After Joe Jr. was killed in World War II, the family duty to hold public office fell to John and Bobby remained by his side for the next twenty years. With the family attention not focused on him, Bobby grew up without the Kennedy pressure. While his brother ran for Congress, Bobby settled down and married Ethel Skakel. He was a devoted family man, spending as much time as possible with his family, even holding meetings in the backyard of their McLean, Virginia home while the children played nearby. Together, Bobby and Ethel had 11 children, the last born six months after his death. 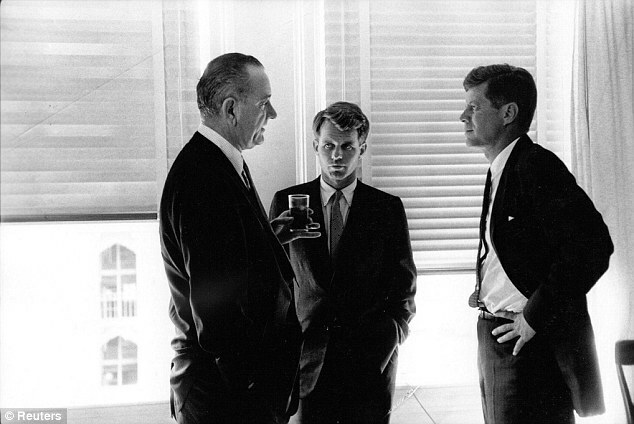 When John took office in 1960, he appointed his loyal little brother and campaign manager as Attorney General. Though it was blatant nepotism, Bobby fought to prove himself and became notorious as being ruthless. Though as a child, Bobby was known for being quiet, and even as an adult he was said to be incredibly warm and caring to those he loved, he was incredibly passionate about his work and fighting for what he believed in. The 1968 Presidential election was approaching and the public wanted another Kennedy on the ticket. Bobby refused to campaign. In 1964, he won the New York Senate seat, beating out incumbent Kenneth Keating. During his time as Senator, Kennedy supported desegregation, the 1965 Voting Rights Act, and anti-poverty programs, making him wildly popular with minority voters, but not so much with students, who felt he didn’t pay enough attention to the Vietnam War. On March 16, 1968, Kennedy officially announced his candidacy for President. On March 31, Johnson shocked the nation by announcing he would not seek, nor would he accept, his party’s nomination for another term. The road ahead seemed practically clear for Kennedy. The support that Bobby reached astronomical heights. Even today’s politicians have come nowhere close to the frenzy that followed Bobby Kennedy. Wherever he went, he was greeted like rockstar. Women screamed. People shoved for the chance to shake his hand. His cuff links were torn off, his shirt sleeves unrolled in the mad frenzy. He was adored. Perhaps it was because Bobby related to the people in ways his brother didn’t. He was free from the strict upbringing his older brothers experienced. He had none of the severe health problems that John did. Both were charming and handsome, but Bobby was boyish and approachable. Even today, John is painted like a God, while Bobby seems much more human. While John was our leader, Bobby was like our little brother. After winning the much needed California primary on June 5, 1968, it seemed as though Bobby would head straight to the White House. The Kennedy supporters went wild, blocking the exits in the Ambassador Hotel, forcing Kennedy to exit through the kitchen. As he was shaking the hands of the hotel employees, he was shot at point-blank range by Sirhan Sirhan, a Palestinian Arab Christian who loathed Kennedy’s support of Israel. He died the next day. It’s impossible to say if Kennedy would have actually become President provided he lived. What is clear is that he is still making an impact, 45 years after his death. Bobby Kennedy paved the way for many outspoken politicians today, as he was one of the first to strongly campaign for civil rights. He was one of the first to turn politicians into celebrities, as he and his brother were the first to mingle with Hollywood’s elite. And while it’s incredibly easy to focus on his death today, it’s far more important to remember the man he was.